For what reason are weights installed on the tractor’s front? To improve the front wheels’ surface grip. To reduce some of the stress on the tractor’s rear axle while lifting loads. To improve driving quality and comfort on dirt roads. To prevent the tractor’s rear part from jumping while driving at high speed. How does pedestrian behavior in the area of the intersection affect drivers? Pedestrians have no significant effect on drivers. The main complication in an intersection is created when pedestrians are crowded on the sidewalk. 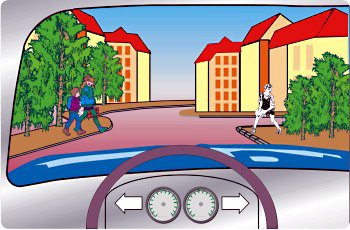 Driver should anticipate in advance possible dangerous behavior from pedestrians in the area of the intersection. Pedestrians occupy pedestrian crossings for significant time periods, thus causing traffic delays. The crossing of an unbroken separation line. An incoming vehicle driving in your opposite direction might appear on the lane to your left. Disturbing a vehicle driving in the left lane. Disturbing a vehicle driving behind you on your lane. How would you conduct yourself according to the situation depicted in the following picture? Drive faster and honk to keep the children away from the roadway so you don’t hit them. A pedestrian crossing is not marked on the roadway and no “play street” sign is posted. Continue driving normally. Continue driving. The children shall act responsibly and avoid crossing the road when noticing an approaching vehicle. Glance at the mirrors, slow down, follow the children movement on both sides of the roadway and – if required – stop to avoid endangering them. Drive faster until reaching a shaded place. Slow down and adjust the driving speed to his current range of sight. Look as low as possible to the roadway. 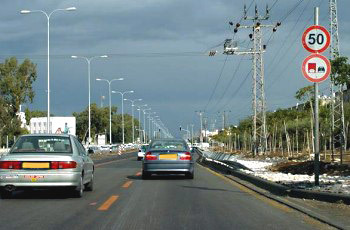 Overtake the vehicle in front because it is better to drive on an open roadway. The silver vehicle (1) exits from parking while driving in reverse. What would be your reaction? Honk. Blink your headlights and continue driving. Swerve to the opposite lane and continue driving normally. Slow down and prepare to stop (2). Block the silver vehicle’s driving lane and allow the red vehicle to get out. Does a-can of beer have a lesser effect on a driver compared to a whisky shot? 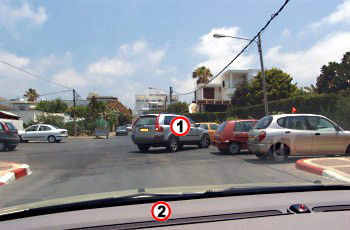 What is the driver obliged to do according to the following picture? Pull into the “hard shoulder” and slow down. He is not obliged to do anything special. Honk and flash his lights. 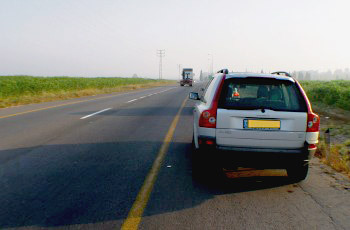 That the overtaking vehicle is delayed as a result of the slow driving of the vehicle in front. There are no conditions that justify an overtaking. That the difference in speed between the overtaking and the overtaken vehicles is sufficient to complete the manouver. That the overtaken vehicle drives slower than the maximum statutory speed. What is the risk in braking while being forced to pull onto the “hard shoulder”? 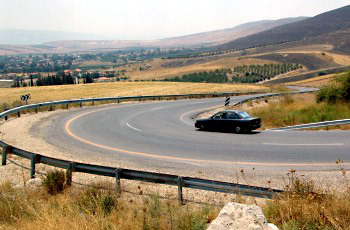 The Vehicle may spin as a result of braking on different types of road surfaces that have different grades of friction. Loss of steering ability as a result of excessive air pressure in the tires. Loss of steering ability as a result of excessive brake use. Vehicle spinning, because its front wheels become locked. “You are allowed to drive under the influence of alcohol, as long as you do not mix different types of drinks”: Correct or incorrect? Where would you stand your vehicle after being required to pull onto the “hard shoulder”? What limitations occur on the road ahead of you? Driving is on an urban road. 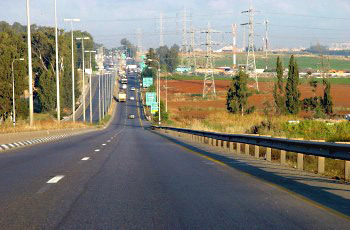 (1) Road works ahead (2) a speed limit and (3) no overtaking. 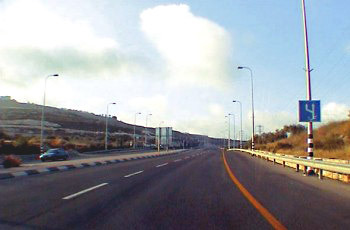 Congested traffic on the roadway. You step on the brake pedal and feel that the service brake (foot brake) is not working. What will you do? What measure is it important to take before stepping on the brake pedal in order to slow down or to stop? Ease off the accelerator and shift to lower gear. Check if there is a vehicle behind by glancing at the mirrors. Step on the clutch pedal, to reduce the engine’s fuel consumption. Signal and turn the wheel to the “hard shoulder”, to avoid rear-end collision. How does a multitude of traffic signs before an intersection affect the driver’s response? 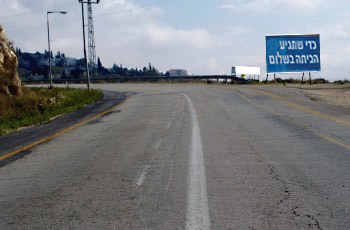 The driver is forced to slow down in order to identify the signs and obey their demands. A multitude of traffic signs always confuses the driver. 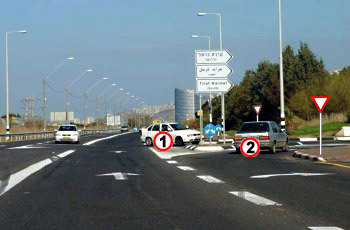 A multitude of traffic signs will cause the driver to think faster in the intersection. A multitude of traffic signs should not affect the driver’s conduct when approaching an intersection. Over heating and weaker braking than normal. Over heating and stronger braking than normal. Cooling of the breaks and weak braking. Continuous braking has no negative affect. When would the following vehicles be able to continue driving? Only when the barrier is completely opened and a green light is shown by the traffic light. You should only refer to the barrier and not to the traffic light. When the light in the traffic light changes to a steady yellow. 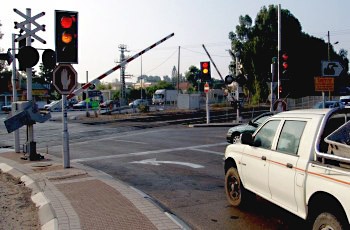 Immediately as the barrier starts to open and a flickering red light is shown by the traffic light.